Horses, like humans, are prone to getting sick. Sometimes it may just be that we need more rest or perhaps we are dehydrated. Other times it may be tell-tale signs of a much bigger problem. Not all concerns are cause for panic or warrant a call or visit from the vet. However, if you notice these signs, then your horse may need professional care. This is by no means a full list so please share your signs from experience so that the community can benefit from your contribution. It’s always a good idea to inspect the horse’s urine. The color of urine can tell you a lot about the health of the horse. If your horse’s urine has blood, it could mean that it has some infection or has suffered a bladder injury. Either way, this is an issue that needs to be addressed quickly. If your horse is pawing, rolling, and sometimes has inability to defecate, sweating profusely, lying down and getting up, then they may be showing a condition known as Colic which is a condition of severe abdominal discomfort. If you see some signs of colic but aren’t sure whether your horse is actually sick, a good way to tell is to offer your horse a carrot. No healthy horse ever turns down a carrot. If your horse refuses it, he is suffering from abdominal distress or some other health problem and needs to see a vet right away. If you see your horse having problems standing then there may be a number of causes, including injury, abdominal distress, and joint pain. You may also notice that your horse has a problem staying on his feet or staggers while walking. This could mean serious structural issues and is best to seek advice of the vet. 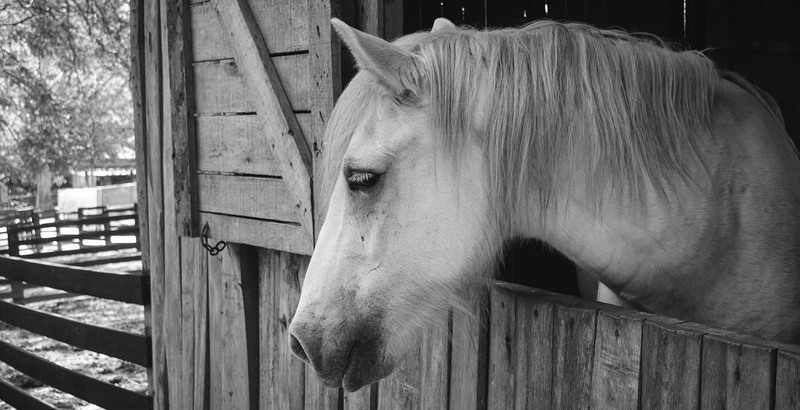 A horse shows signs of teary eyes, the horse holds the lids partially or completely closed, the white part of the eye is red, or the surface of the eye is cloudy. This could be caused by an infection or the surroundings due to chemicals sprayed in the air in the area. A horse with painful eye can be very restless because, well, it is painful. Eye infections tend to progress much faster making this sign an urgent one for you to address. If the horse feces change from soft balls to runny, inconsistent, watery feces then that’s a sign that all is not well with the horse. It could be a temporary problem of what the horse ate but if it persists, could mean a number of things. There are times when the horse is simply reacting to changes in the environment, their daily feed or even work load but if it goes on for more than a day then it needs to be looked at. This does not qualify as medical advice. It is intended as informational only. Take the necessary steps to protect and care for your horse. Share your thoughts on our Facebook community page here: https://www.facebook.com/MyHorseForSale and let us know what you think and please share this article with your friends and family.